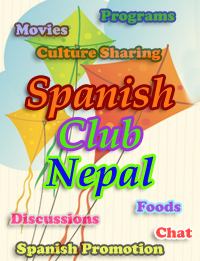 Write what would you like to do in the SpanishClubNepal? What activities would be fun? Do you have anyone from the latin community that can speak with us during the club meeting? Do you have any ideas for this club?